Navionics Pro Team member Tommy Skarlis and his fishing partner, Jeff Lahr, are at the top of their game. Last week, they accomplished a huge feat by winning back-to-back World Walleye Championships. 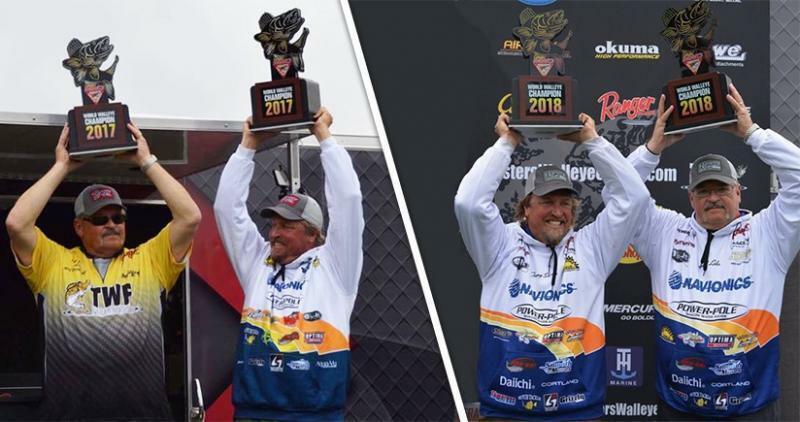 Skarlis, with over thirty years of experience and countless championships under his belt, is thrilled about the Cabela�s Masters Walleye Circuit 2018 World Walleye Championship win. 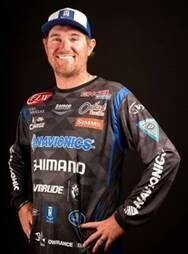 He�s passionate about sharing his knowledge with others and hopes to use his platform to inspire the next generation of pro anglers. When we recently caught up with the highly decorated walleye pro, he was more than willing to share some of his secrets for success. 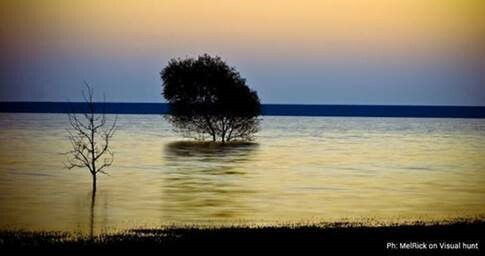 Recent work has been done on Lake Grapevine and Fayette County Reservoir and will certainly be noticed by all the recreational boaters and anglers that frequent them. Improvements can be found in: bathymetry and navaids such as moorings, buoys and names. The depth information has been updated by integrating highly accurate multibeam survey data. This technology is being adopted more frequently by Navionics as part of a continuous product enhancement plan. Bathymetry is a chart feature appreciated by boaters of all kinds and expertise levels, but anglers are the most interested in it because it helps identify productive fishing spots, where fish are most likely to feed or hide. Lake Grapevine, located in the Dallas-Fort Worth area, is a very active lake, frequented by kayakers, boaters, sailors, anglers, and paddle boarders. The lake does not present much vegetation, in fact the bed is quite rocky. Likely catches are largemouth, smallmouth, and spotted bass, white bass, white crappie, channel and blue catfish. Missed a Navionics webinar you wanted to attend? A number of original equipment manufacturer (OEM) plotter bundles � Humminbird, Raymarine, Lowrance & Sinrad now have a free upgrade of a Navionics+ with a purchase. When a customer plugs in a card that is eligible they will be shown a graphic allowing them to update from their preloaded content to Navionics+. Each of these bundles has a region already attached to it, meaning that the user is confined to the region set by the card. Each of the bundle offers an upgrade path to Navionics+ with Freshest Data updates free for the first year provided the card is registered through the Chart Installer within 2 months of the bundle purchase. With some cards you will be advised that preloaded chart data will be removed during this process and the user will have to select and download the areas of coverage needed. As part of our ongoing product enhancement, we recently added new high definition bathymetric data collected by a 3rd party for Canada. The survey data has been collected using a multibeam technique allowing for a more precise reading of the seabed which results in higher quality depth contours. These additions enrich the already detailed information present on our SonarChart layer that are integrated with data from the best sources, as well as from Navionics� own survey and sonar logs contributed by our users. The result is an incredible level of detail and superior bathymetric charts that will increase your awareness of water depths and will help you locate the best fishing areas. If you�re an angler, take full advantage of these high definition contours by color-customizing the different depth ranges on your Boating app. This feature allows you to easily locate fishing spot at a glance! FLW Tour Pro & Navionics Pro Team member Josh Douglas shows you how to update your Navionics charts and explains why it's something you should stay on top of. This video is courtsey of FLW Fishing. All three of these lakes are generated by dams. Fontana and Tellico both impound the Little Tennessee River while Tims Ford is situated on the Elk River. Fontana is the deepest lake in North Carolina and the temperature of its waters is quite low, these conditions make it a very interesting habitat for a variety of fish species such as muskie, walleye and smallmouth bass. Tellico lake offers the beautiful landscapes of the Great Smoky Mountains and 51 different fish species, among which bass and trout are common catches. Ramps, marinas, docks and other services are available for the boating community. Tims Ford is considered a highly picturesque lake and it offers many facilities for anglers. It is a bass fishing destination, in fact the Tims Ford Bass Classic is held here every year in spring. Locate fishing spots at a glance with multiple depth ranges in our Boating app! A new tool for anglers to quickly and easily locate fishing spots! In our Boating Marine & Lakes app is now possible to customize the chart view with multiple depth ranges simultaneously, for bottom understanding at a glance! The Fishing Ranges feature allows to customize and display on our SonarChart� map layer up to 5 depth ranges at the same time! The app interface makes it really intuitive to set: choose a color, select the depth values and name your range: the map will show depth gradients with different color shadings. Have a clear view of bottom depths and choose your fishing area depending on the fish you want to catch. Then move quickly on the water telling with a glimpse holes, submerged islands, steep ledges and drop-offs. - If you have our Boating app, go to Menu > Map Options and start customizing your maps! To use the new feature, you need an active Navionics+ subscription. - To renew your subscription go to Menu > Me. - If you haven�t our Boating app yet, download it for FREE and have a 2-weeks trial. Then, subscribe to the 1-year Navionics+ subscription to continue using Fishing Ranges and many other features! Download the Boating app today for a two-week free trial! Lake Candlewood, the largest lake in Connecticut, is a true paradise for the recreational boaters and for anglers, that have a choice of bass, bluegill, catfish and a variety of other species to fish in the many spots, coves and islands. To serve the growing boating and fishing public, Navionics has performed an overall update that includes: bathymetry, buoys, underwater structure, lake shore objects and in general of all the surrounding land area geographical names. We are improving our web site monthly by making it easier for everyone to manuever around. Now you can click on the �features� tab and a drop down box will appear and you can select the feature you want to learn more about. As part of this efforts to continue improve our mapping at Navionics, we recently updated the bathymetry of Keuka Lake in Western New York. Keuka Lake is part of a system of glacial water bodies called the Finger Lakes and has a unique �Y� shape. The improved depth contours will surely be appreciated by anglers of all levels of expertise that frequent the lake fishing for a variety of species. The pristine waters remain quite shallow and are home to: Brown Trout, Smallmouth Bass and Landlocked Salmon, as well as Pike, Pickerel, Lake Trout and Yellow Perch.